To be honest. I was disappointed in this pedal. I like a more squashy excited tone and this pedal didn't do it for me. At lower settings, it adds a bit of warmth and smoothness but if I push it, I get undesired dipping, swelling and clipping. I changed the tube twice and it didn't help. Just not my cup of tea, I guess. 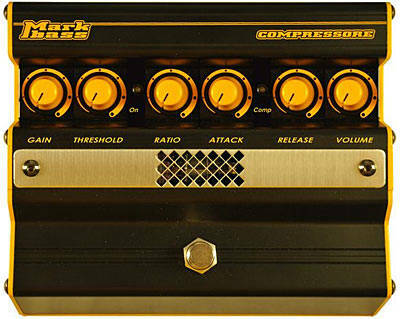 This is a great compressor, good sound, flexible, well built, but .... It generates an intermittent crunchy noise when sitting there turned on and doing nothing. This does not happen when playing, only when it is idling. It is annoying. The device should not be left unattended. I used this compressor for every show and recording I do. I love the sound this unit gives me. Truly amazing piece of equipment. It has never failed me yet.